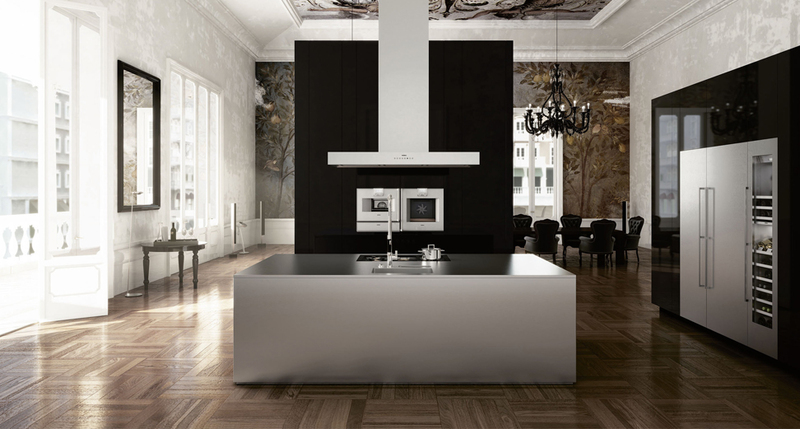 Gaggenau appliances are undoubtedly the top of the field in the appliance world. Many components of these high-end appliances are still hand crafted and hand assembled. German manufacturing is definitely at the top in the world for its exacting standards in quality and style. Gaggenau ovens, steam ovens, cook tops and refrigerators are still manufactured and assembled in Germany under their strict conditions and standards. Dan Kitchens features many Gaggenau appliances in their showroom displays. The German styling fits very well with the European design on show at the Dan Kitchens showroom. The discerning customer looking to fit out their kitchen with Gaggenau appliances will appreciate the incredible attention to detail and precision with which Dan Kitchens incorporate such sophisticated appliances. Most kitchen companies leave appliance fitting up to plumbers and electricians who are often not experienced in fitting such appliances. Dan Kitchens use their own installers to fit the appliances and regularly so. If you are buying Gaggenau then you should take a serious look at who designs and installs your kitchen. Visit the Dan Kitchens showroom to inspect the work for yourself and talk to one of the design consultants about the specific requirements for these high end appliances.